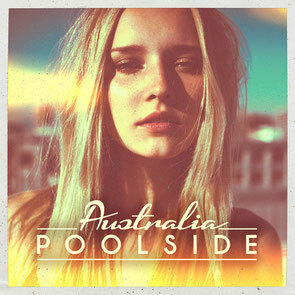 As the Australian summer approaches, Toolroom Records get set to release the next instalment of their cool 'Poolside' series; 'Poolside Australia'. Renowned for its picturesque beaches, cultural landmarks and thriving nightlife, Australia is the ideal setting for this next selection of summer beats. The album features 32 full-length tracks from Shadow Child, ODESZA, Satin Jackets, Davidian, Eli & Fur, Full Intention, Boris Dlugosch, Purple Disco Machine, Franky Rizardo, Kraak & Smaak, Munk, Amine Edge & DANCE, Ben Remember, Kim Ann Foxman, Tough Love, Giom, Prince Club, Poupon and many more, alongside a DJ mix covering everything from nu disco and indie dance to chill out and deep house. With 100% brand new and exclusive tracks from Cyclist, Framewerk, Gorkiz, Long & Harris and Marco Tegui, Tamer Auf & Cari Golden, the album offers a tracklistf full of funky beats, catchy melodies and vocals. Have a listen to the preview below, it’s out 17 November.